Western Quilters' Circle Inc.: Friday 16th March. 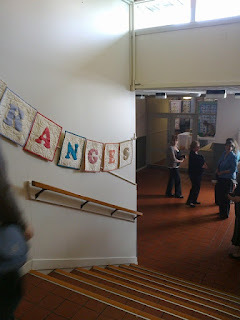 At 9.50 am there was a queue forming ready for the start at 10am. This years' Challenge was a page from a magazine. 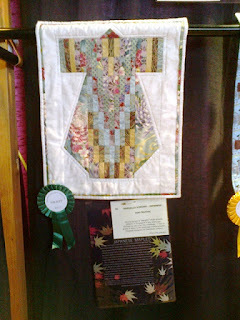 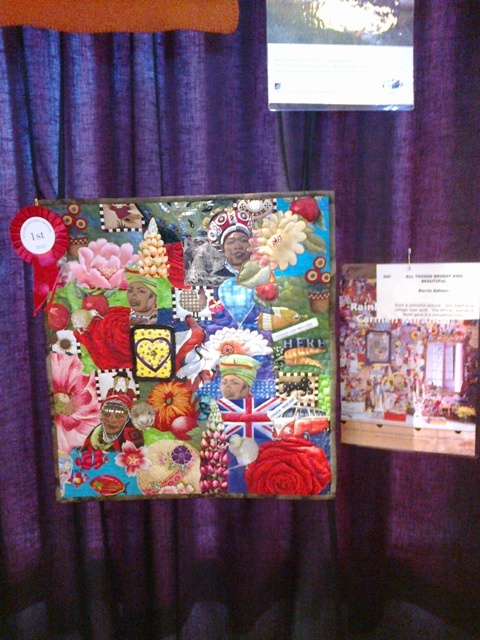 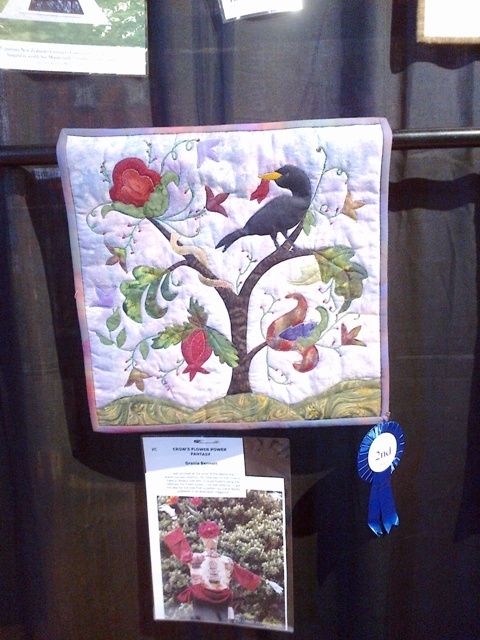 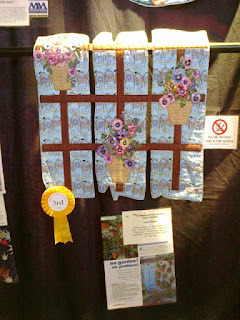 The winner by Barrie Ashton, "All Things Bright and Beautiful"
2nd was Grania Bennett, "Crow's Flower Power Fantasy"
3rd Juliet Fitness, "A Garden Gate is Never Truly Closed"
and first time entrant, Jean Ramsay, "Bargello Kimono - Japanese". 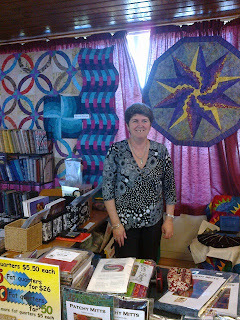 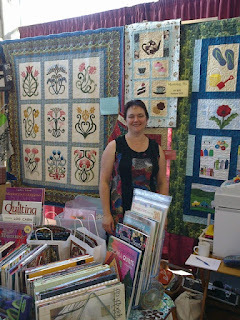 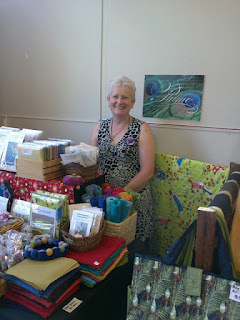 Challenge entries, the lovely quilts and the merchants.